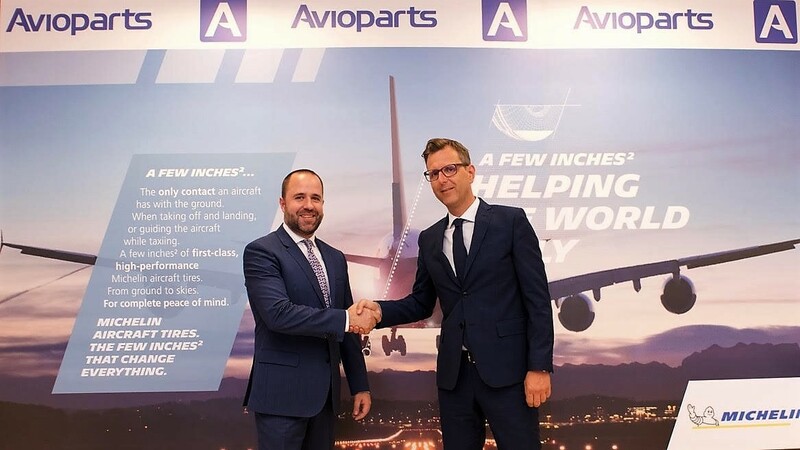 Michelin Aircraft Tyre visited the Avioparts Headquarters in Madrid (Spain) to sign the New Distributorship Agreement strengthening the partnership between the two companies well in to the future. 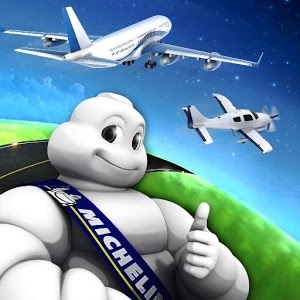 The New Distribution Agreement ensures stronger ties between the two organisations and a commitment to provide the highest levels of service to both current and future customers of the Michelin Aircraft Tyre brand. David Fojon, Avioparts Managing Director (Left) said… “we are very excited with the challenge which lays before us. However, we have not reached this point by accident, it has taken some years of careful strategic planning and significant investments to be where we are today, ready to take the next steps required of us, to become The Leading Global Aircraft Tyres Distributor”. Rodolphe Brachi, Michelin Aircraft Tyre Key Account Manager Airlines, Distribution & General Aviation Sales Manager (Right) added… “I have full confidence in the ability of Avioparts to deliver on their commitments and this alliance will allow us to improve efficiencies in getting our tyres to the market and increase our market share”.